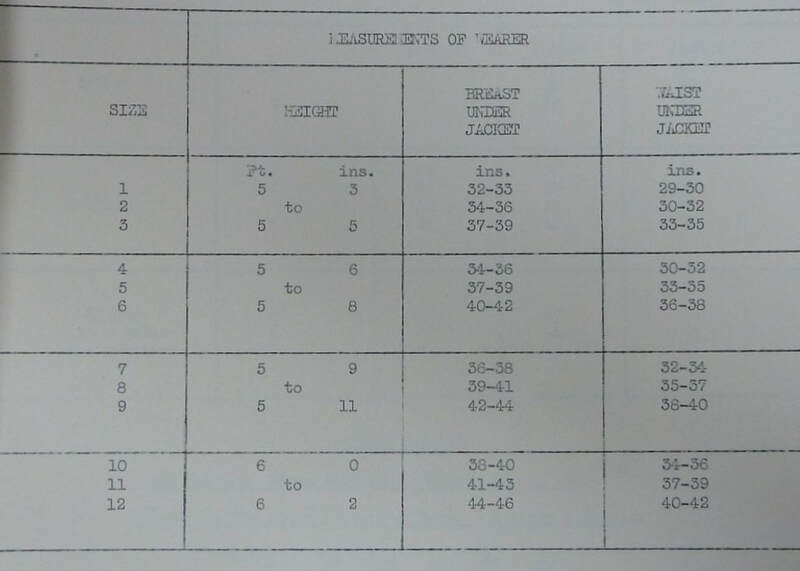 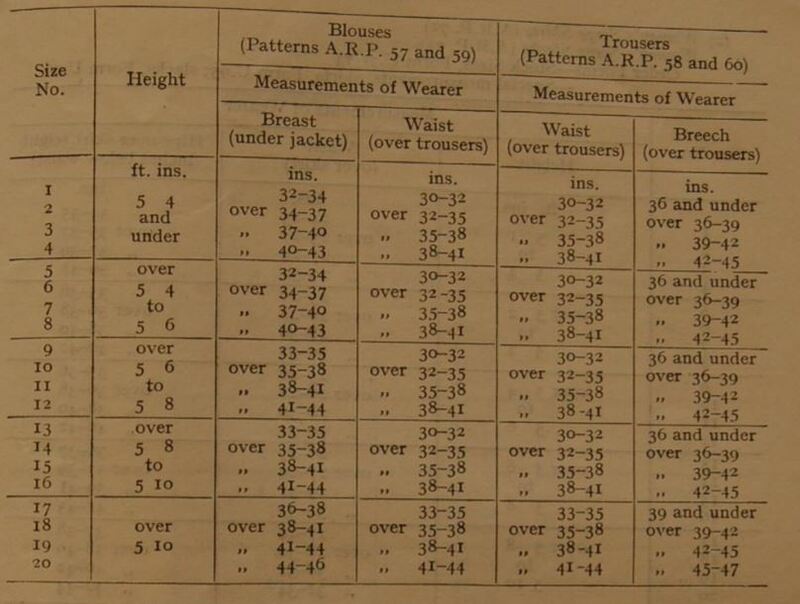 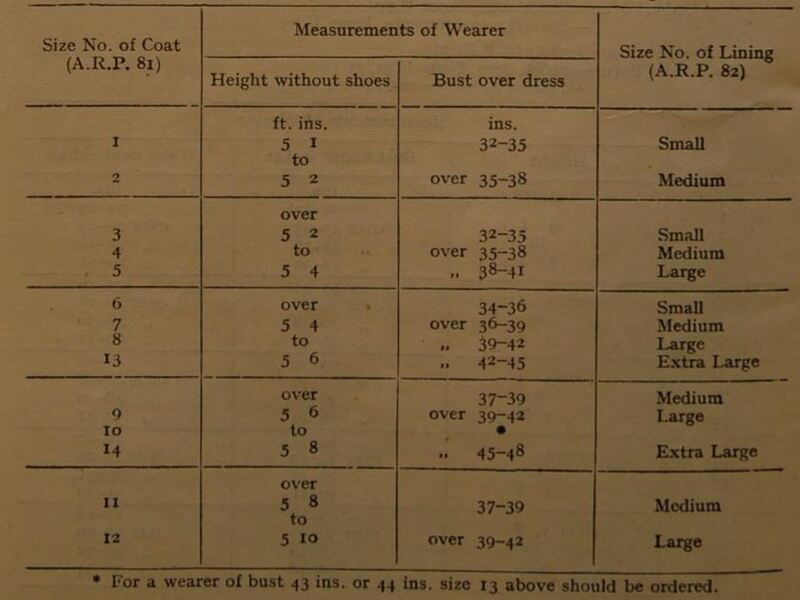 The sizing of Civil Defence uniforms (see the ARP Pattern Numbers list) was different to the Army and RAF battledress etc due the physical body differences of the general population that was involved with the Civil Defence services. 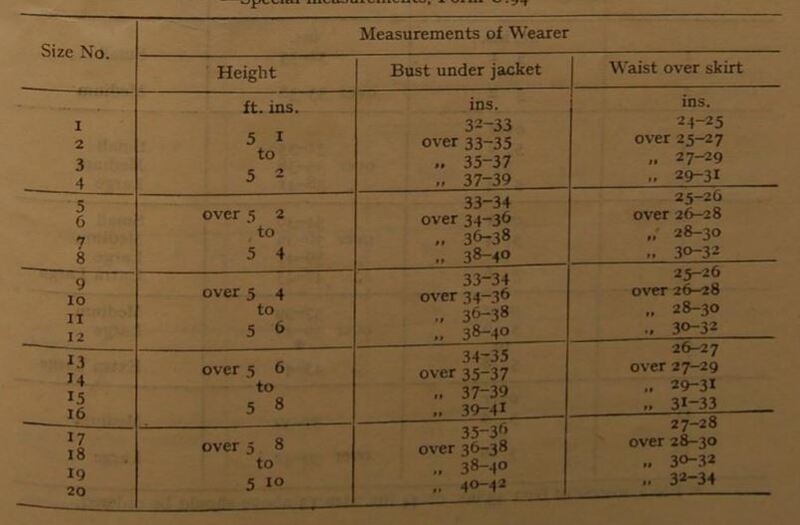 Below are the measurements taken from Air Raid Precautions Memorandum No. 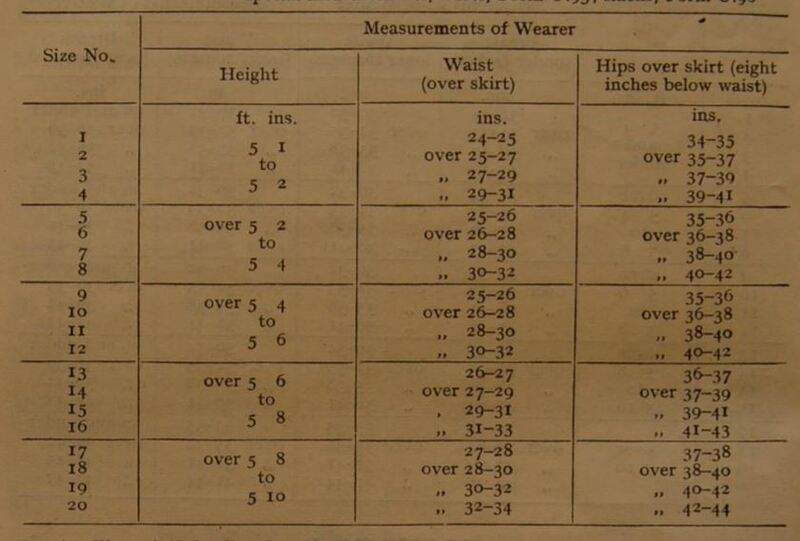 17 1944.